I am a little photography challenged. Ok...well, a lot challenged when it comes to taking good photos. My iPhone has about 24 pictures of my son my dog sleeping on the couch in an effort to get that perfect shot. I need help. I need an intervention. My husband actually suggested I get a lightbox. I searched on Amazon but -holy smokes! 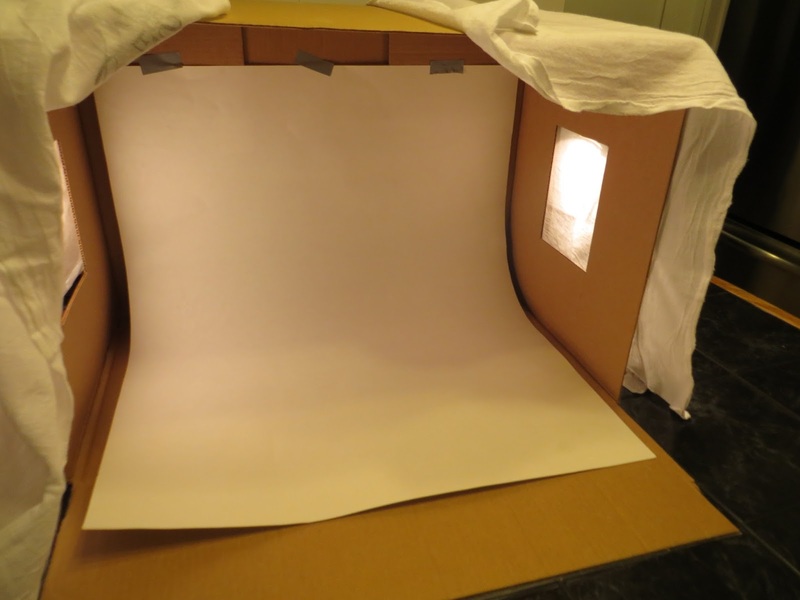 Lightboxes are expensive! 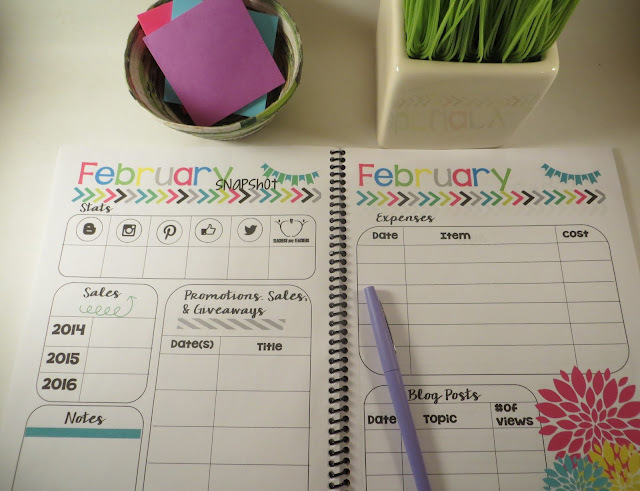 Then I decided I could make it myself and I am thrilled with the results. -white sheet, pillowcase, towel, or tissue paper. 1.) 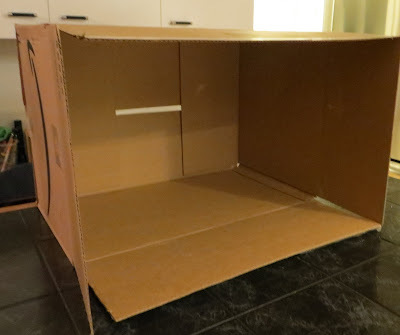 Begin with a basic cardboard box. A square box with equal sides is best. Face the back of the box away from you. 2.) 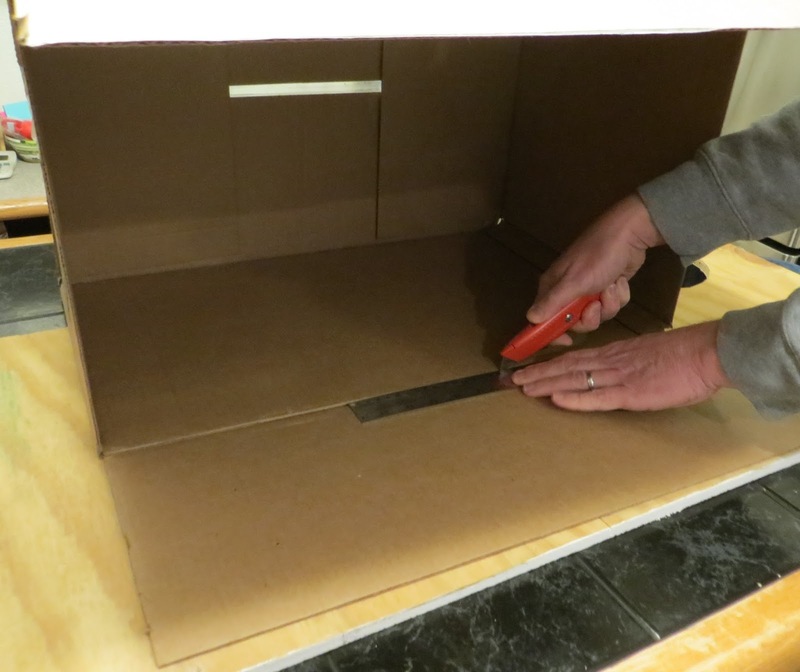 Use an X-acto knife to cut off the flaps on all but one side of the box. 3.) Cut a square hole in the left and right sides of the box. The holes should be roughly the same size as whatever light source you are using. 4.) Place a piece of white posterboard inside the box. You can use duct tape to hold it in place. I only had one piece of posterboard on hand. I think 2 pieces would be ideal. 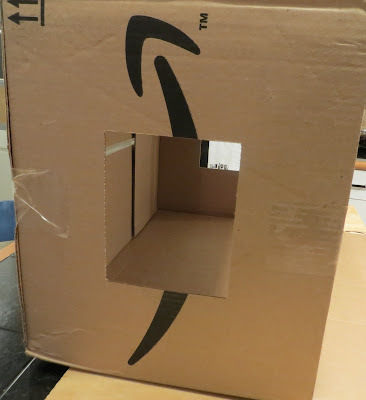 Cover the holes on the side with a white sheet or tissue paper. I used thin white dish towels. The thinner the fabric the more light you will let in, the heavier the fabric the more likely you are to have shadows (as you are blocking more of the light). 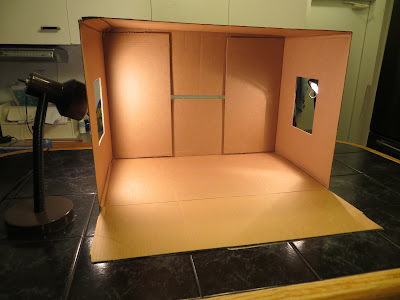 Place your a light source next to a hole on each side. I used desk lamps. Don't tell my sons that I stole them from their room. They haven't noticed yet. Look at this fine piece of art work, I tell you. Well, it did the trick because my photos came out fantastic! Taking photos like a boss....one photo a time. Thank you SO much for the inspiration! 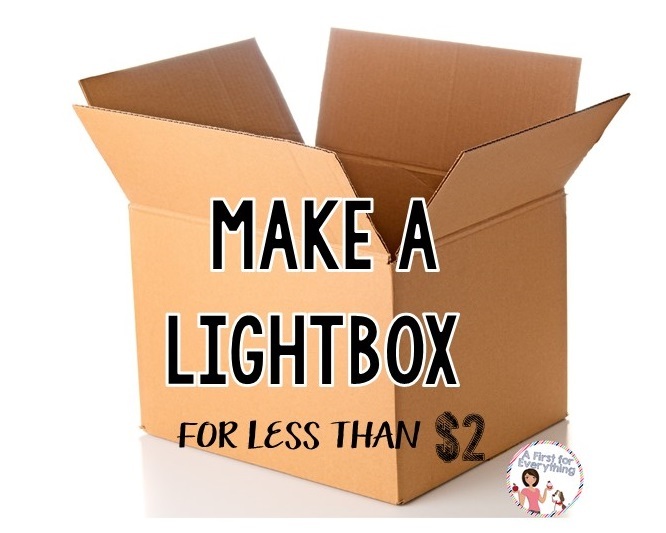 I have been eyeing up some light boxes on Amazon, but this is such a great idea! Your picture turned out great and I can totally relate to the dog on the couch thing. Ha ha!